Katie was passed down a vintage chair that had been in her family for generations. As you can imagine, this chair was not exactly in the best condition. Covered in rust and dirt, it would seem like a goner to most—but that’s not today’s tale. 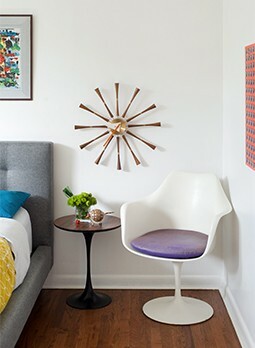 Whether your chair is metal or plastic, these 3 steps will help revamp your old furniture to new. Hose off the furniture piece and make sure that there is no dust or gunk. After thoroughly cleaning, leave your chair to dry. Tip! Let your furniture dry indoors so that it doesn’t get dirty again. Purchase spray paint and primer suitable for the type of furniture you’re revamping. 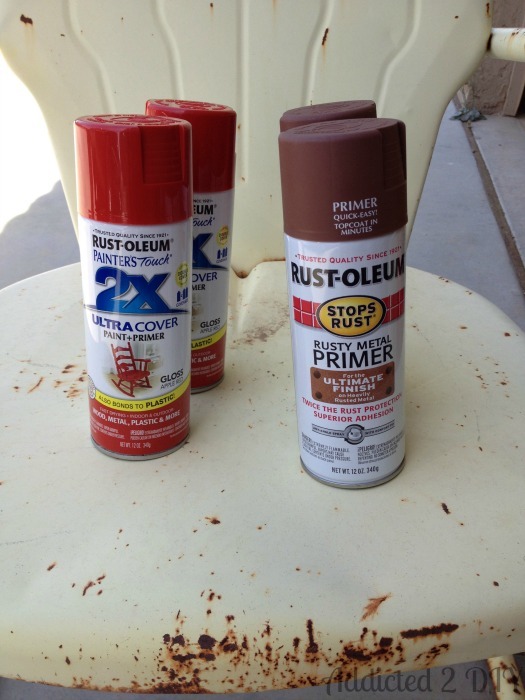 If you want to prevent rust, you will need to use primer. Metal chairs may need a light sanding as they often chip with age. After your furniture has been washed, prepped, and possibly primed, the only thing left to do is spray paint. Standing about a foot away from the chair, spray two to three coats over the entire piece. Let each coat dry and cure entirely before adding the next. Tip! Getting too close to the chair will cause the paint to drip, so be sure to stand back and apply the paint in short, even strokes. How easy was this! New and improved in under a day. 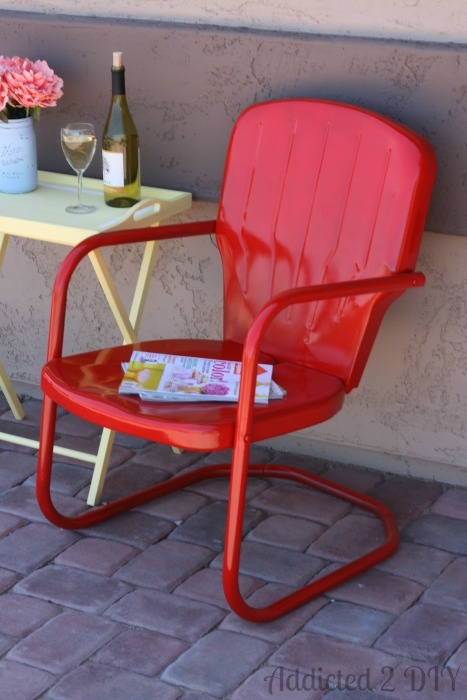 Next time you have never-ending rust on your patio furniture or an old generic plastic chair lying around, give it a quick makeover. This DIY is not only limited to chairs. Try it on side tables, footrests, lounges, etc.! For the full DIY and more, check out Addicted to DIY.